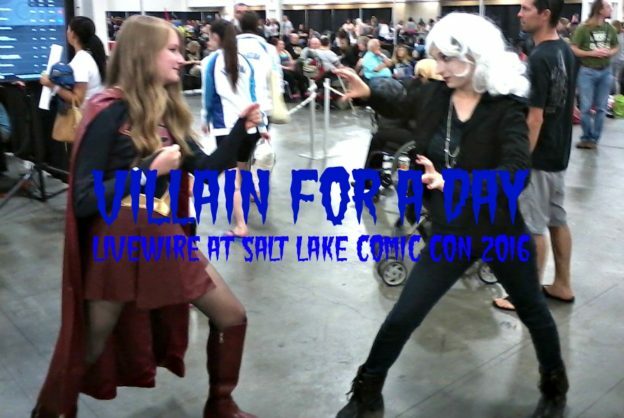 Utah has gained a reputation in recent years as a haven for geeks of all fandoms and degrees of interest. 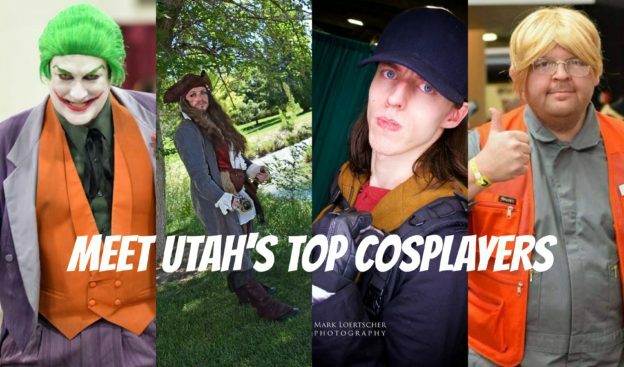 The rising popularity of Salt Lake Comic Con and the golden age of Geek on the internet has fueled the creativity and talents of many locals into pursuing cosplay. 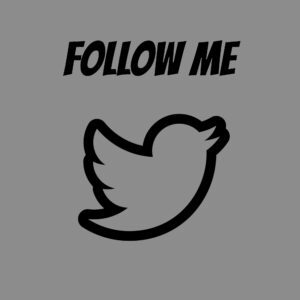 As a member of this vibrant cosplay community, I would like to give my readers a glimpse into what we do and introduce them to some of my fellow cosplayers. Some of us are part of major costuming organizations like the 501st Legion, others are part of smaller local charity groups. Some of us invest considerable time and money into making elaborate, screen-accurate costumes. Others can’t bring as many physical resources, but we make up for it with lots of heart and dedication. Some of us live outside of the Salt Lake-Ogden-Provo area, but thankfully the internet makes it easy to keep in touch on a daily basis and we can share ideas and post photos of our work. This entry was posted in Conventions, Fandoms and tagged comic con, cosplay, Salt Lake Comic Con on September 19, 2016 by Lizy Cole. 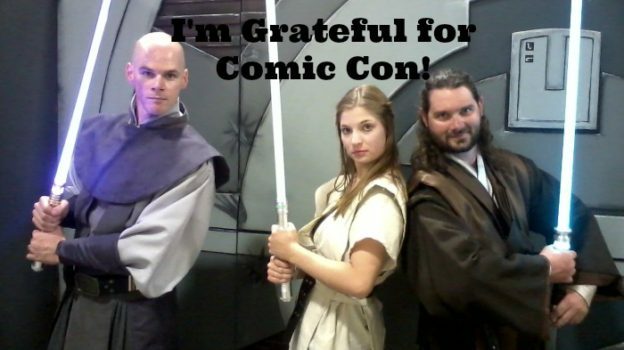 It goes without saying, but Salt Lake Comic Con 2015 was amazing and I had a great time. 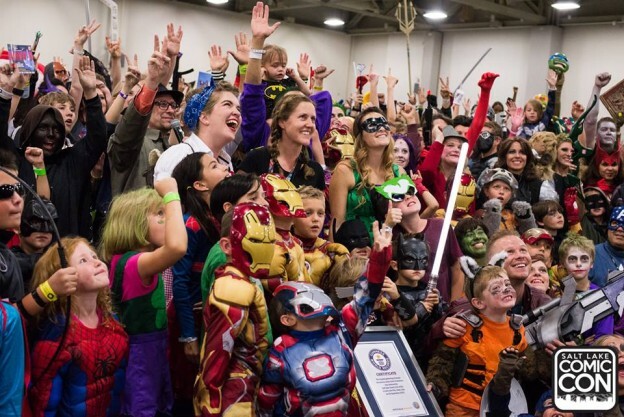 There was a lot that I did and didn’t get to do, but probably one of the most memorable parts of my experience was helping break the World Record for the most people dressed as Comic Book characters in one place. This entry was posted in Conventions and tagged Arrow, comic con, Comics, cosplay, Salt Lake Comic Con on October 5, 2015 by Lizy Cole. I don’t need a lot of excuses to be excited about the upcoming comic con here in Salt Lake City, especially with the event being only a month away. 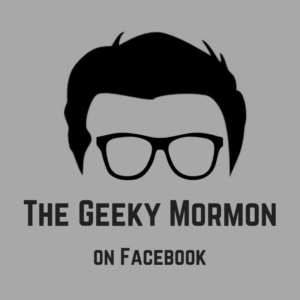 It is the highlight of the year for geeks and freaks throughout the Wasatch Front and beyond. There have been two events this last week that have really got me thinking about the first weekend in September. One was, of course, the San Diego Comic-Con sending their friendly letter to Salt Lake Comic Con. I wrote about that in a blog post earlier this week. The other was Mile High Comics announcing that this year was possibly their last at San Diego Comic-Con (they have since announced that they will, reluctantly, be back for next year). These two events, I think, are reflective of something going on in our peaceful realm of Geekdom. I was discussing it with a coworker today. There seems to be two main strains of geeks. 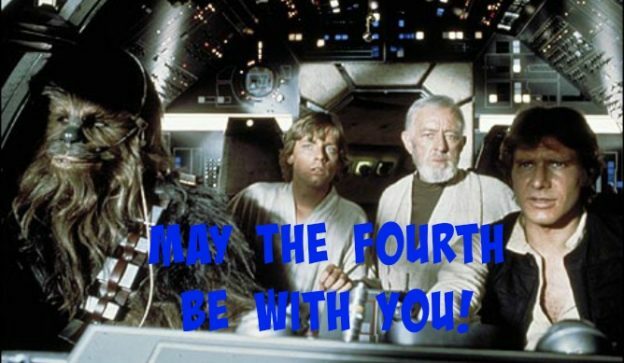 There is the mainstream geekery and then the actual, legit , geeks. When I was a kid, there was a much smaller population of mainstream geeks. It was not cool to like comics or fantasy books or Sci Fi or Star Trek or Star Wars (I mean it was always cool, but not everybody thought it was cool). Fast forward to today, and that has all changed. In a lot of ways, I am grateful. I enjoy the big Summer blockbusters based on comic book characters, and the TV shows and the overall availability of stuff. But there is a lot of negative that comes with this too. As things become more mainstream, the more commercialized it becomes. Now, I am not some anti-commercialism, capitalism person. I understand that a lot of good comes with that, but it also tends to cheapen the experience for those of us who have been with it for so long. I don’t think I am explaining myself well, so let me explain what these two examples have to do with what I am saying, and see if that clears it up. San Diego Comic-Con used to be this weird place where only the geekiest of geeks went to be with other geeks and talk about geeky stuff, mostly comics (go figure!). The main publishers would come and talk about their major announcements for the next year, but there certainly wasn’t the media exposure there is today. One might argue that this is true about anything. There is just more media to provide coverage today than there was before. But, even taking that into consideration, I don’t think there was the equivalent media coverage that there is today. SDCC has become a really big deal. It is not just for comics fans anymore, which is fine. In the geek world, the more the merrier (even you, Bronies), but SDCC has become the place to unveil any major blockbuster movie and footage whether it has something to do with comics or not. This has become a major media mecca in the middle of summer. The added attention is great and assures that it will be around for a while, but it has led to the convention becoming one of these large corporations. Before I write my next sentence, I don’t want to come off as naive, I understand that every comic con out there, or any other convention, is out there to make money. They want the geeks to come and spend money. I get that. San Diego has become only about that. There is a certain genuineness that seems to be gone now from SDCC, and the letter they sent to Salt Lake is representative of that. They don’t want other cons moving in on a piece of their pie. They want their con to be the only con. Not just a really big comic con in San Diego, but THE comic con. The whole letter had this feeling of “if you don’t cooperate, then I am going to take my ball and leave.” I read some comments on the Facebook page of Salt Lake Comic Con of fans warning other fans to not make SDCC angry because they can cause major vendors to boycott our con if they are unhappy. Other fans mentioned that in the end, all SDCC wanted was not for SLCC to be shut down, but for SLCC and other cons to pay a royalty to SDCC for using their name. If they agree to do that, then maybe the other cons will be safe from vendors pulling from them and celebrities and so on. These comments came from fans, not from SDCC themselves, just to be clear. When I read those things I thought, “isn’t that how the mob works?” And that made me sad. I always had a dream to someday go to SDCC, but now, I have lost a lot of my desire to do that. I kind of don’t want them to get my money, and I hope Dan Farr and company will continue to stand up to them. 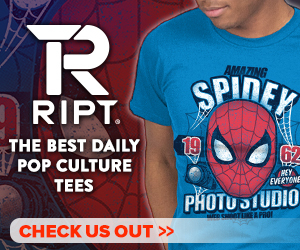 Why does all of this get me excited for Salt Lake Comic Con? I feel like right now, SLCC is different. It is just starting out and is relying on building and keeping a loyal fan base. They have been successful at doing that as demonstrated by the huge success they had with FanX in April, and the success they are hoping to have again in September. They will get better, but right now, when you walk the aisles you will find a huge selection of vendors, many of whom are local. When you go to the panels you will find many panels that have local writers and artists. I know that most of the people working behind the scenes are real live bona-fide geeks with strong local ties, and they seem to want to represent that in the con. I love that. When you visit SLCC it still feels like our own quirky little con. Someday, with our success, maybe it will outgrow that, but I get the feeling that although they are trying to get this as big as possible, they still want it to be ours. I am excited for September because it will be three days where I can escape my regular 9-5 job and just be a geek with other geeks. I hope it stays that way for a long time, regardless of how big it gets. This entry was posted in Conventions and tagged comic con, Comics, Salt Lake Comic Con, San Diego Comic Con on August 1, 2014 by Jake Dietz.